Robert Higgs is senior fellow in political economy for the Independent Institute and the editor of the Institute’s quarterly journal, the Independent Review. He is also the author of several books, including Against Leviathan, Competition and Coercion, Neither Liberty Nor Safety, Resurgence of the Warfare State, and The Transformation of the American Economy 1865–1914, and the recipient of numerous awards, such as the Gary Schlarbaum Award for Lifetime Defense of Liberty and the Lysander Spooner Award for Advancing the Literature of Liberty. He lives in Covington, Louisiana. 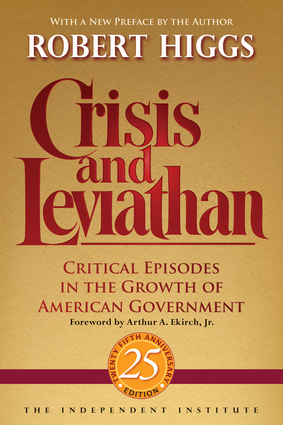 Arthur A. Ekirch, Jr. was a professor emeritus of history at the State University of New York–Albany, a Guggenheim fellow, and the author of dozens of articles and 10 books, including The Civilian and the Military and The Decline of American Liberalism.